A quick message to say how absolutely thrilled I am with your service from start to finish. Everyone I’ve dealt with has been so knowledgeable, prompt and friendly. On time with everything and I feel you guys went out of your way to accommodate me where possible. Keith on the day was amazing fitting the blinds, I can’t rate him highly enough. So skilled, quick and friendly. He gave me some great tips for my house as it is a new build and is an asset to your company. I also appreciated the thank you card, a small detail but no other supplier in any of the areas for a full house renovation gave one. I highly recommend Signature Blinds. They supplied and fitted customised pleated blinds for my very high awkward shaped windows in sunroom. The guys were great to deal with, Mark and Keith, and I would use them for any blinds I might need in the future Mary in Foxrock. Excellent jobs. Happy with the shutters and blinds in my house. Keath Farrell did brilliant jobs. Brian fitted our blinds today and the service was 10/10 … such a nice company to deal with from start to finish everything was so quick and professional!! I’m so so happy with my blinds and will recommend signature blinds to anybody!!! Thanks so much for making our house a home! We finally got our shutters in on Monday and are so pleased with them! Highly recommend working with Mark, Brian and the team. Everything went very smoothly and the end result is just great! Good job guys! Brian fitted my blinds yesterday came when he said very efficient job well done. I got my fabulous shutters installed with Keith Farrell today.Bang on time! A really friendly professional guy.So pleased with his work and attention to detail.He got the Hoover out and never left a speck of dirt.He ‘s a credit to your company.Highly recommend your work and I’ve asked for cards to give to family and friends! My neighbours were very impressed. Thank you so much! Kind regards Geri! Excellent service from Signature Blinds. I am really please with my shutters would highly recommend signature blinds . Mark came out and showed me the shutters. Keith fitted them was very pleased with his work . Couldn’t be happier with our shutters. Very professional and easy to deal with. The quality of the shutters is excellent – we went for the basswood in 76mm which was perfect. They are light and easy to use. Brian who fitted them was a gentleman who was very conscious of noise since there was a baby in the house. He fitted the blinds perfectly and I am a perfectionist. I ordered pleated blinds, roller blinds and shutter blinds, while the wait for the shutter blinds was a number of weeks, it was definitely worth it. Signature Blinds are a great team, from Oscar always at the end of the phone, Mark guided me through all the information and samples to Keith and Brian who came to do the fit-out, absolutely smashing guys. I’m thrilled with my shutters, blinds, etc they look amazing – thank you! Cannot recommend signature blinds highly enough. My windows were a very unique shape. I was advised by other companies that shutters could not be fitted on my windows due to shape. Mark came to my home, explained what was needed, and what he would recommend. No pressure to sell just good business. Keith came to fit. He did a great job, sent me pictures of my windows throughout the day to see was I happy. Cleaned up and left the place spotless. Great to see an Irish company doing well. I will use signature again. Many thanks. The fitter was very professional and his work and finish were also excellent. Hardly stopped for a break and worked right through until he job was complete to my satisfaction. Fitter was Keith. Delighted with my installer Keith, very professional and a hard worker. I was completely satisfied with our shutters and service. Signature staff were efficient, professional and left the place spotless after their work. Definitely recommend. We had shutters fitted today and are delighted with them. Couldn’t speak highly enough of Signature Blinds from measuring to advice. Special thank you to Keith for doing such a great job fitting them. Just got our shutters fitted and we love them . Brilliant service from start to finish. Derek was great when advising us on the options available and Keith did a great job fitting them. Very prompt and clean workers, would highly recommend. I got two shutters for my two bed room window about a year ago. I love my shutters so much, because Mark gave me a best design and his colleague installed the shutters perfectly. they made my room look so elegant ,tidy and neat. definitely will go back to them in future. Just had our shutter blinds fitted all over our house. Brian fitted the blinds, very talented fella and never met anyone so pleasant. The fit is absolutely unreal, completely transformed the house. Best money we’ve spent on the new house! Right From the point of contact with Mark to the fitters Brian & Keith the professionalism was 100%. Product 100%, manners 100%, cleanliness 100%. It would be impossible to ask for or receive anything else from a company. Just to prove my point this is the second time I’ve used their services due to the fact we moved house and i wouldnt/ couldnt perceive the idea of another company coming in to do the work. We got shutters from from signature blinds. They’re gorgeous, very happy with them. Excellent service from first phone contact to fitting. Very efficient and courteous team. Very pleased with quality of blinds too. Excellent company, excellent product, excellent service. We got great advice in the first place and this was followed up by a prompt delivery. Brian came out to fit and he was polite and tidy. We’re really happy with the final product and the service all the way through was great. Lastly we got great value too. All in all I’d be very happy to recommend them. 5*****. Keith just installed our new roller blinds throughout our apartment and I am delighted. It was out with heavy wooden blinds and in with something more light, clean and minimalist. From selecting and ordering from a huge range with Derek, to value for money, lead-in time and today’s installation I can highly recommend this friendly and professional company. Thanks to Derek, Oskar and Keith. We’re thrilled with our new blinds! From start to finish Signature were a fantastic company to deal with! We made an appointment and Derek arrived the next day with a full selection of blinds for us to choose from and made the process really easy! He kept in touch to let us know if any changes needed to be made or to clarify things! The blinds were made within the 2-3 week time stated. Brian the fitter arrived when he said he would and did a fantastic job!! We put off getting blinds for a year as the amount of choice etc was a nightmare…..but dealing with these guys made it a painless and easy process! Thanks so much everyone!! I got 7 blinds made top quality and top fitting. My house stand out in my estate with them on my Windows . The house was left spotless after the fitter put them up. Very clean worker. Would recommend signature blinds all the way. Very Professional company , advised us correctly from the start , did everything thing they said they would when they would . Brian did an excellent job fitting the shutters yesterday and did not leave a spec of dust or dirt behind him . A pleasure to deal with everyone we had contact with from start to finish . The finish & quality of the product is excellent. Highly Recommend this company . Keith did an excellent job installing our blinds. They look great, we are delighted. I found Brian to be a very pleasant and trustworthy fella. He done a great job putting up the blinds. I am extremely pleased with my shutter blinds and the service I received from Signature Blinds, they were very professional and courteous, and cleaned up as they went. Would be very happy to recommend them to family and friends. Bespoke, clean, brightening system. Allows us the luxury of controlling light, privacy, heat beaming in or radiating out, view and noise reduction. Sensational systems fitted with outstanding service. Keith Farrel was professional and efficient, the installation was carried out with perfect customisation diligence and pride in his work. Delighted with our blinds and shutters. Brian installed the shutters yesterday and it has made a huge difference to not only the look of the house but we slept much better as they have blocked a lot of the traffic noise etc. Fitting was perfect. Delighted to get work done for once with no complaints. Thanks Brian!! We are extremely happy with our shutters and wooden blinds. Wonderful service from Mark’s consultation to the installation by Brian. It was perfection. We are delighted we chose Signature Blinds and we would most definitely recommend them. Delighted with the service and the product. Blinds look great. A very competitive price and professional installation. Keith did an excellent job,very professional ,. we are so happy with our new blinds they have made a huge difference to our house so much more light coming in and privacy ,we would highly recommend signature blinds for quality and professionalism. Reasonably priced, very nicely fitted and really pleased with the results. Love our blinds , thanks so much. Keith fitted my new plantation shutter. His work was excellent. They call when the say they will and are really easy to deal with. I would have no hesitation in recommending Signature Blinds. I will definitely use them again. Also the prices are competitive! Keith and Dave did a wonderful job on Holsteiner Park, shutters are fabulous and the lads were so professional, polite and clean! Will be recommending Signature blinds to everyone. Very happy with our shutters, well priced, neatly fitted by Keith who left every where clean and tidy, would have no hesitation in recommending Mark and his professional crew. Had my shutters fitted today by Brian. He did an excellent job. Mark was super at helping me sort through all the designs and styles to find exactly what I was looking for. Would highly recommend signature blinds. Got my whole house done recently. Got a mix of blinds from shutter to sunroom blinds, They are amazing such a good job. I’m So glad I was recommended signature. Brian fitted our blinds and he was lovely to deal with and he done a fantastic job. Would highly recommended!! Brian fitted my blinds today. Very nice guy, great job. Even cleaned up the dust from drill That’s a first! Just had shutters fitted throughout the house. From start to finish, the service has been incredible. Arrived on time to give the quote, gave excellent advice, and fitted when I was told they would be. Expert fitting, fabulous product and a fantastic experience. Sincere thank you to Mark, Caroline and Keith. Keith did an excellent job, the shutters look amazing. Would definitely recommend signature blinds! Thanks again Keith. Can’t thank Mark and the guys enough. Delighted with my shutters. Very efficient work, no mess and great price. Highly recommend. Thanks so much to Mark, Caroline & the team, they were really helpful and great with practical advice on the blinds, service was excellent, blinds & fittings are superb quality, we’re delighted and would recommend Signature Blinds. Brian from Signature arrived on Friday 11th May and put in Shutters in our front lounge (two large windows) and bedroom up stairs. I am very pleased with his work and the shutters have already got plenty of compliments. He was very efficient and worked away all the time and also very tidy. He was delayed on his way to us but phoned to say he would be late. I would recommend Signature and cannot say enough for the service and product. From start to finish signature was great to deal with. Brian fitted our blinds he was lovely to deal with and done a fantastic job. Highly recommend! Absolutely over the moon with our new plantation shutters!!! Thank you Signature Blinds and Shutters for a totally professional job done,from measuring up for a quote to the installation of the shutters. I would highly recommend this Irish company, well done Mark and Keith!! We all just love our new shutters! Just had my shutters fitted and I am beyond impressed by the work Keith and Brian did. Two full days over 20 something windows and the workmanship stayed consistent! There was no mess no hassles they were great hardworking guys. The shutters themselves are amazing and worth every cent! I recently had my new blinds fitted by Brian from Signature blinds and I am delighted with them the quality is excellent. The service from start to the fitting was very professional dealing with Derek, Mark, Oskar and Brian. I would highly recommend signature blinds and there Prices are at a good rate. We had blinds fitted recently by Signature, service was very efficient and the blinds are of a very high quality. I would have no hesitation recommending their service. Love all my new Builds gives a great new facelift to all my windows. Brian fitted them brilliantly and was excellent at cleaning up. Excellent service from start to completion . I was in a hurry to get sorted as had been let down by another company , & they went out of their way to look after me .Brian fitted the blinds and did a super job . I would highly recommend Signature Blinds. Professional service from quote through to fitting – would highly recommend! Keith installed them and went above and beyond to make sure everything fit and worked perfectly. They are now a massive feature of our house. Unbelievable addition and glad we chose Signature. Highly recommend these guys. I can highly recommend this company. The blinds and shutters are the first thing anyone notices when they come to the house. I honestly didn’t think Id love them like I do but Mark was so informed about all our options and was so thorough. I had no idea of how many styles were out there! Very professional. Thanks guys. Absolutely thrilled with my new shutters. Fantastic service and Brian the fitter was top notch… I would have no hesitation in recommending this company to all. We’ve just had wooden venetians fitted by Signature Blinds; I didn’t know I could be so delighted with a set of blinds! The fit is perfect and they look great.The whole team were great to deal with – Derek arrived out exactly when he said he would and was really helpful in giving advice and talking us through the options. The blinds arrived earlier than we expected, Brian arrived to fit them bang on time, did a lovely job with them, and left the place spotless. Everyone was so helpful and pleasant, and the whole process took under two weeks and was completely hassle-free. Finally, the price was really competitive. Thanks a million. Very happy with plantation shutters recently installed. They make a huge difference to each room and look great. The lads were all a pleasure to deal with and done a great job. Thanks lads! Just had plantation shutters fitted – I’m delighted with them and will certainly recommend Signature Blinds. Thanks Derek and Keith. We ordered our shutters , the lead time was as the industry seems to offer , which is quite long, 12 weeks . However the shutters were exactly what we ordered and fitted by Keith perfectly who was very prompt and professional. Much appreciated and we will be ordering again for the windows upstairs. Thanks. Shane. Would be happy to recommend Signature Blinds. Found the service extremely professional and the blinds excellent. The ordering process was very easy and our blinds were delivered and fitted on time. Thank you so much to Keith for such a friendly and professional service. Nothing was too much trouble and the shutters look great. I would highly recommend this company for excellent quality and value and Keith is a credit to the company. Just wanted to say a quick thanks to Mark and Keith at Signature. Mark called out to measure and quote for blinds and gave me a lead-time of 2 weeks for fitting. He was professional and knowledgeable and offered several different good value options. I’m sitting here, 2 weeks to the day since he came out, with my new blinds fitted and looking perfect. Keith was clean and efficient in fitting them and spent time explaining the mechanics of the blinds and tips on how to clean them easily. Highly recommend Signature Blinds. Absolutely fantastic to deal with from finish to end,both Mark and Keith. Couldn’t complain about anything very high finishing standard. I would definitely recommend this company can’t wait to get the back of the house done now. Excellent service. Love the quality and such great value. Would highly recommend. I had my new plantation shutters fitted yesterday. Very impressed with the service from the beginning with Mark coming out to give me the quote and measuring up initially. Then with Keith the fitter who done a marvelous job and his attention to detail was superb the room was left spotless Both these men where so professional and polite. Initially we had Derek (I believe) for initial measuring and picking out fabric. He was extremely helpful and had a vast selection of styles and colours to choose from. He was very knowledgeable in what we were after. Keith came out to fit the blinds and done an excellent job. We will definitely use signature blinds again. They were very professional and have a great selection. Thank you so much to the wonderful team @ Signature Blinds. From quote (Mark) to installation (Brian) you were helpful, clear, and very professional! We absolutely love the our plantation shutters – great quality and reasonably priced. Fantastic service and quality product, customer service was excellent. Very happy with my new shutters, Keith did a great job. Thank you. Just want to say a huge thank you to signature blinds and shutters for installing our beautiful Venetian blinds. The choice of blinds was endless but Derek helped us choose the perfect ones. 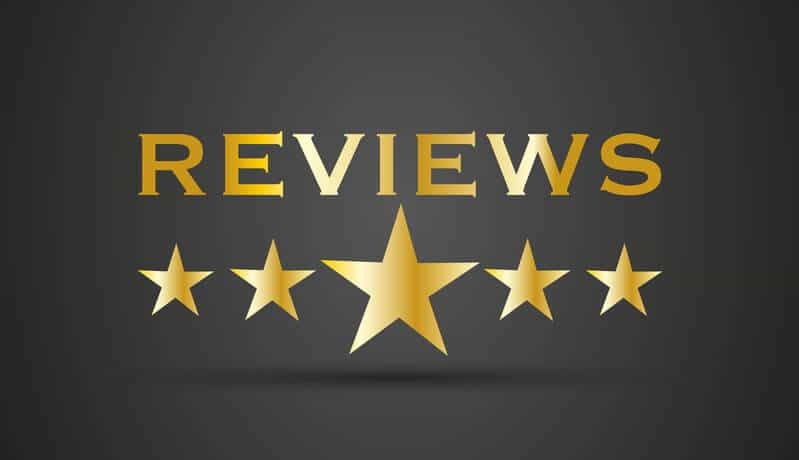 The service was very professional and thoughtful throughout, Brian was very quick installing our blinds and did an excellent job, we really felt cared for and important. We would like to thank the whole team and let them know that I’ll be recommending signature blinds and shutters to all my friends and family. We had Mark from Signature Blinds out few months ago and I couldn’t recommend the company enough. Professional, trustworthy, reliable and job well done. Caroline was very efficient. I have recommend to others who were also very happy with the service and blinds. Well done Signature Blinds. Cannot recommend Signature Blinds & Shutters enough. Mark was so professional, helpful and friendly from the moment we met him. He had the whole house measured in minutes and blinds were fitted only two weeks after. There was a huge range of blinds to choose from and a lot of different price ranges. We couldnt be happier with our blinds and the service we received. We will be recommending Signature blinds to all of our friends. Christmas as promised .All work carried out to specification,on time and with the least fuss. Will definitely use this professional team again and recommend them to my friends . Well done all ! Excellent job there in our home today by Keith farrell. Very happy with our new shutters. Excellent service !! Thank you . Keith Farrell was the fitter and he did an exceptional job! Delighted with my blinds and found the installer friendly and hard working, didn’t stop all day. I’d have no hesitation recommending SB to friends and family. The best service we’ve had from any company in ages, Derek and Brian were both lovely and so efficient and went above and beyond for us. Brilliant when you phone the office too. And we’re delighted with the finished product, totally thrilled. Completely recommend. Cannot recommend this company enough. Service is outstanding from start to finish. I love my new blinds. Thanks Mark and Keith. Keith arrived to fit our pleated blinds. We hardly knew he was there, and he left the house clean and tidy. What a fast and efficient service. We are really thrilled with the new blinds, and I will recommend them to friends. Exceptional service from Signature Blinds & Shutters. Keith did an excellent job of installing the window shutters. Would thoroughly recommend his very tidy work and pleasant manner! I couldn’t be happier with our pleated blinds and wooden indoor shutters, I already knew I was going to love them and yet the end result exceeded my expectations, they not only look amazing, but they are also of high quality and easy to clean. I would like to thank the entire team and especially to Keith, he is extremely professional and a pleasure to deal with, he is so patient and answered our countless questions and he is very detail oriented, he did a perfect job and left everything spotless. Thank you again for everything, I highly recommend both the shutters and the professional service of the Signature Blinds team. Excellent fast service and quality products. Everything from sales through to fitting was what you’d want and done in a friendly and efficient way. Our fitter Brian was very professional, friendly and tidy. Everything to the highest standard and reasonable prices too. I’d recommend to anyone. We’ve just had blinds fitted throughout the house. The service was personal and professional. The blinds are excellent quality and stylish. The fitter was very helpful and efficient. Couldn’t be more satisfied. Very happy with all the service, the price,quality everything. Caroline, Mark and Keith were very approachable and very easy to deal with. Just want to let you know how pleased we are with the installation of the Blinds today. Keith is a very friendly and efficient worker, with a high standard of workmanship, and we will be recommending your company to anyone that asks us where we got our blinds, and I would also like to thank you for all your help over the last few weeks. We had a fitter named Keith Farrell in with us this evening. I would just like to express our gratitude at the quality of work carried out by Keith. The room was left spotless after the shutters were fitted, and the finish was second to none. Once again thanks very much, we are delighted with the shutters and would highly recommend your company in the future. We recently had blinds installed by Signature. The whole process from beginning to end was seamless and very professional. Derek responded to my email enquiry very quickly and then visited our home at a time that suited us to go through the options in detail. Brian installed the blinds perfectly and went through the various installation options with me before proceeding. Highly recommended. Cannot thank all the team enough for everything . Even before my blinds were purchased I was impressed with the service provided. Thanks to Derek who helped me make a decision, to Caroline for organising everything around my crazy work schedule and to Keith for fitting. Ohh and the blinds! � great quality and outdid my expectations. Delighted. Couldn’t recommend enough. Wish I had more windows to put blinds on. Mark your team are a credit to your business. Thanks again. Blinds are up and we are delighted with them. Brian worked really hard and left everything so clean and tidy. The blinds are unique around here so I wouldn’t be suprised if you get a few more enquiries! I’m delighted with my lovely new shutters. Mark and Keith were professional from quote to installation. Competitive price and such a pleasure to deal with. Thank you! Have meant to let you know since Keith fitted our 2nd batch of shutters in June of this year, 1st batch February 2016 (they still look like they were just fitted) how pleased and impressed we are with both the quality and standard of your service and of the shutters themselves. We would highly recommend the shutters and signature as experts in advising and fitting of them. I’m delighted with my new shutters , they are perfect. Incredible service and quality. Thank you !! Val Sheridan – July 2017 We are delighted with our blinds. Mark did a professional, impressive job and he was a gentleman to deal with. We would highly recommend him. Delighted with my new blinds supplied and fitted by signature blinds. Fitter did super job and left no mess behind and blinds are of excellent quality. Highly recommend. Competitive prices too. We recently had shutters and blinds installed in our house by Signature blinds and love them! We got really solid advice from Mark and Keith installed everything with minimum fuss. We would highly recommend this company to anyone considering installing shutters or blinds in their home. Thanks Mark for doing a great job fitting our front door shutter. Excellent service and great value for money. Excellent job done by Mark and Keith. Fantastic selection of blinds. Delighted with the end result. We had our customized blinds fitted today and they are beyond amazing. Thank you so much to Mark for all your help, patience and advice from measurements to material, style, and colour. Big thanks also to the lovely Keith who fitted our blinds today. If I could give 6 stars I would. Can’t recommend this company enough. The difference the blinds have made to our little home. Thanks a million. Sharon & Paul. I would highly recommend Signature Blinds & Shutters. Mark was brilliant to deal with from start to finish. Very professional! They have such a great selection of blinds and very reasonable priced. Great job thank you. Will definitely use them again. Linda Kinsella – September 2016 A recommendation if looking for blinds. I just had my new ones fitted by Mark @ signature blinds. Am so pleased with them and Mark was not only pleasant but arrived when he said he would and fitted the blinds with minimum disruption. Couldn’t recommend them higher. Lisa O’Brien – August 2016 Delighted with the great job the guys did. I came back to home make over. The shutters and new blinds made such a difference to the house. So much light and the rooms feel brighter and bigger.The guys are so good you can leave your husband in charge and the job is great when you come back! Absolutely would recommend Signature of you want blinds or shutters. Mark and Keith recently installed a full refit of venetian blinds to my home. They were very professional throughout! From initial consultation right through to final fit, Signature Blinds & Shutters were top class. Excellent work and competitively priced. I would highly recommend this company. Great job! Wow- what a fantastic job by Mark and Keith. I got shutters in the front of my house and they look fantastic! Mark was very helpful in suggesting the best options for our windows and the finish by Keith was excellent and no mess! !I got blinds in the back and again the range of colours and designs were excellent. Delighted with my new blinds. Brilliant & very professional job. Thanks Mark & Keith. I had Signature blinds out today to fit blinds on my Apex window extension. On the first visit Mark came and showed us the work he had done and gave us some ideas. Keith then came out to fit them. I would definitely recommend this company, the lads are extremely nice and professional. We are delighted with the end result! Used this company and I’m delighted with results. My plantation shutters were fab and mark was so pleasant to deal with. Anita Terenure. Excellent service ! Very happy with my new blinds thanks Keith and Mark ! Thanks Mark and Keith delighted with your work 3 years ago and today very professional and will have no doubt recommending to all our friends. We just had our shutter blinds installed by the guys in Signature Blinds today and couldn’t be happier with them. From the first visit where Mark talked us through the options and the best way to lay them out to suit the windows to Keith fitting them brilliantly today, the service and the end result are simply impeccable. Would recommend these guys to anybody – absolutely first class. Delighted with our shutter blinds installed by signature blinds great professional advice and service from start to finish. Highly recommend. Sonia O’Driscoll – February 2015 Would highly recommend Signature Blinds, both Mark and Keith are so professional and offer an amazing service. We are delighted with our blinds, they are beautiful. Thanks for all your help. Just got my new blinds up , thank you Mark they are excellent. So stylish and modern .Thanks again for your recommendations and advise . Lesley Byrne – December 2013 Mark recently fitted some shutters on my french doors and windows. Signature Blinds came highly recommended, so my expectations were high, however, Mark completely surpassed these with his professionalism, genuine interest in understanding what I wanted (not what he could sell to me), the quality of the shutters and the installation and follow up service. In addition, Mark fitted measuring and installation into our busy schedules, despite his own busy workload. I would highly recommend Signature Blinds, the range and the service. Fantastic. A very satisfied customer here. Jennifer Flood – October 2013 Just want to say a big thank you to Mark in SignatureBlinds Dublin for my fab new shutters. I won €1000 worth of shutters on Fb so I got these two shutters fitted yesterday. Mark is based in ratoath (covers all areas) and has done all the blinds in our house, a mixture of wooden venetians and romans. The least I could do was give him a little plug!! Its also nice to support local business! Olivia Halpin – August 2013 Thanks Mark for great work today. Delighted with my new wooden blinds. Very quick and clean work. Come highly recommended. Olivia … Navan. Andrea McCarthy – January 2013 Thanks a million for fitting our beautiful shutters and pleated blinds. We can’t get over the transformation and love them! Great service and would 100% recommend! Alison Foster – December 2012 I cannot thank Mark enough. He really helped me out during the communion stresses. Genuinely recommend him and his company . . . Superior job! James McSweeney Solicitors – Novemeber 2012 Dear Mark, Just a letter to confirm that we are delighted with the blinds that you have put in our office. The quality of the blinds is exceptional and we will be recommending your work to friends and colleagues. Cormac Brennan – February 2012 We instructed Signature Blinds to install a full set of blinds in our new legal practice in February 2012. We are delighted with the results and we found Mark to be extremely professional and efficient. There was a tight timeframe for the installation and we were never in any doubt that Mark could deliver on time, and at a price we found very reasonable. We would have no hesitation in recommending Signature Blinds. Linda Cummins – March 2011 Dealt with Mark in Signature – great guy & company to deal with. We had looked for blinds for our bi-fold doors for ages, but always too expensive. We went with Signature as the range was great, but so was the price. Would recommend & couple of our friends have used them since and are also delighted with the service. Eoin McCabe – February 2011 We were pleased with the roman blinds and good after sales service, thanks. lan Devlin- Webfactory Jan 2011 Webfactory engaged Signature Blind in January 2011 to provide blinds for all windows in our new building 7 Bachelors Walk Dublin 1. We called a number of providers for a quote, we needed to get the quote quite quickly and a number of suppliers neglected to make the appointments they had set with us. Signature blinds arrived in our offices the day they were called. They provided an extremely competitive quote within less than 24 hours of their measuring session. Their attitude was very professional and it appeared to us that they had an ethos of going out of their way to win business and satisfy their customers, this was not a trait observed in their competitors. The job undertaken by Signature Blinds was undertaken in less than 1 week, which was half the time their competitors could offer. The installation and fitting process was seamless and as an act of good will they fitted a small blind in our basement bathroom free of charge. We engaged many providers when we moved building and I can safely say that the best customer experience by us over this busy time was with Signature blinds. Elaine O’Callaghan – December 2010 Thanks for the fab job on my blinds lovin them! Tom & Eilleen, Celbridge – August 2010 My daughters (aged 12 & 14) don’t always agree on everything! We were able to keep them both happy with their individual choice of Roman Blinds, for their bedrooms with a unified cream lining against the windows.